The internet has been awash with rumours that Kawasaki India will start local assembly of the Z800 . Kawasaki India has finally put an end to this by officially denying these rumours. The Kawasaki Z800 is one of the most affordable CBU motorcycles in the country today. It is, also one of the highest selling Kawasakis in the country. 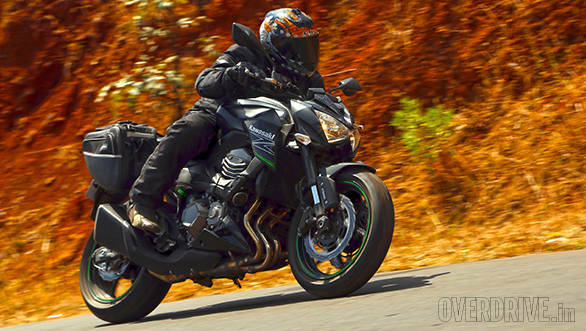 Going the CKD route will obviously mean a lower price point for the Z800, a reduction by almost 30 per cent, as we have seen with other CBU motorcycles going the CKD way. This will bring it dangerously close to cannibalising sales of the other affordable CKD motorcycles in the Kawasaki range especially the Versys 650. Then there is also the question about the Kawasaki-KTM dealerships. Currently CBU Kawasakis are sold through standalone Kawasaki dealerships in India while the CKDs are sold through KTM dealership network. Most KTM dealers in India have a Bajaj dealership too but not necessarily a Kawasaki showroom as well. If the Z800 were to go CKD it would mean a big drop in sales for the stand alone dealerships. A decision like this, if taken further down the road, will be long and arduous and not very friendly for Kawasaki dealerships. Yutaka Yamashita, managing director of India Kawasaki Motors says, "There was never a plan to have the Z800 go CKD. Kawasaki always decides the assembly of models that is reasonable under CKD regulations. We do not see any positive outcome to go CKD in India with the Z800".